The cream colored fine crackled glaze on this Meiji period vase causes one to immediately think of the Satsuma kiln in the Island of Kyushu, at the southernmost tip of Japan. 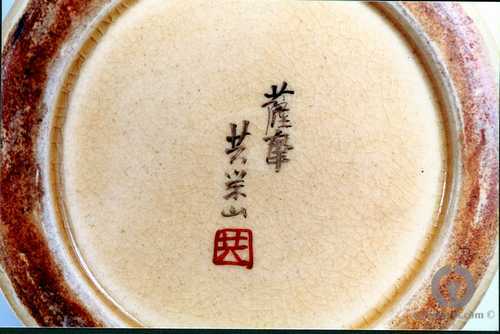 Many wares were produced by these potters and shipped in an undecorated state to Kyoto for painting and glazing. This leads to some confusion over the origins of Kyoto or Awata Yaki. 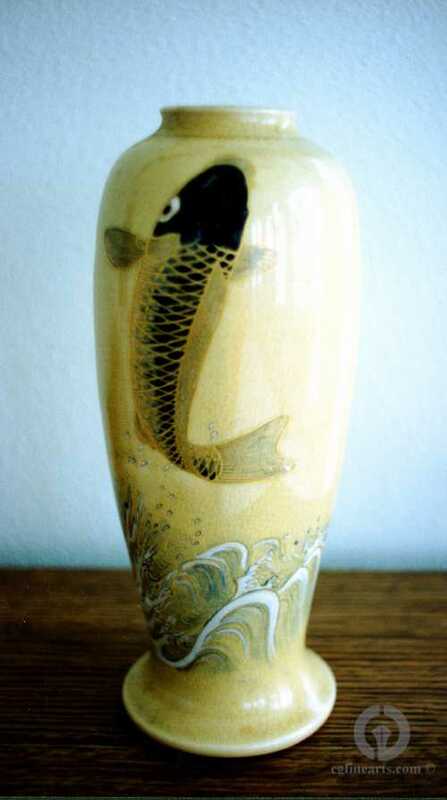 This vase bears the signature "Satsuma Kyo Eizan" and his seal.